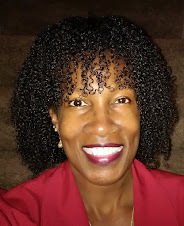 The Simplicity of My Testimony: Got Wisdom? Tweet In 2 Chronicles 1:7-12, God appeared to King Solomon, son of King David, and told him to "Ask for whatever you want me to give you." Solomon could have asked for ANYTHING he wanted - wealth, long life, power, anything - and what did he ask God for? WISDOM! And God being the just and faithful God was so pleased that King Solomon asked for wisdom to govern God's people, that he was given GREAT wisdom and knowledge. But God didn't stop there.